Before you start looking for a contractor, you will need at least a basic plan for the work you want done so you'll know what type of contractor is needed. You may be able to save money by strategically combining projects. For example, I'm having a chimney rebuilt and bathroom roof vent added at the same time I'm having my roof reshingled. Home improvement projects can make your home more enjoyable and more valuable as well. In some cases, the return on investment can be more than the expense of doing the project. When you have decided the scope of the project you want done, the next step is to contact contractors and get estimates. 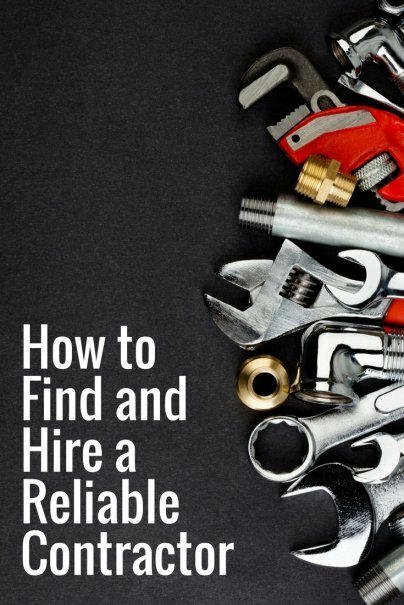 You will want to do some research and contact only highly-rated contractors who are qualified to do the kind of work that's needed. Recommendations from neighbors who have done projects similar yours. Companies you see working in your neighborhood on projects that impress you. Contractors with good ratings on consumer review sites: Angie's List, the Better Business Bureau, and Yelp. Keep in mind that it can take a few months from the time you start requesting estimates until work begins on your project. Most contractors schedule jobs in the order that they are signed up, and good contractors are often very busy, so be prepared to be patient. It's good practice to get three estimates for your project before selecting a contractor. This will give you a good idea of the cost range for your project, and you'll have three expert opinions on what should be included. Some contractors will make verbal promises when they are talking to you about your project, but such statements can easily be forgotten later and you'll see that reflected on the estimate. Make sure to get any special requests and promises in writing — even if it is handwritten on the estimate as a note. When reviewing estimates, it might seem like choosing the low bidder would automatically be the smart way to go, but if one of the estimates is significantly lower than the others, you should find out why. The lower bidder may be cutting corners to save money by using lower quality materials or inexperienced laborers. Some low bids are "bare-bones" estimates that leave out work that will likely be needed, so the actual cost of completing the project will be higher than the estimate. With your favorite estimate picked out, there are a few questions to ask before you pull the trigger and sign a contract. You want to make sure you are signing up with a contractor who will be able to complete a project for you without unpleasant surprises after the contract is signed. When will the work be scheduled? Can you provide references for similar projects? Can I visit a project in progress? Are you and your subcontractors insured? The contract calls for a big payment in advance of any work being done. The contractor doesn't provide references you can contact. You are being asked to get required building permits. The company has not been in business long, or is using a new name. Spending some time to plan your project, screen potential contractors before getting estimates, compare competitive estimates from several qualified bidders, and check out your contractor's work before signing a contract greatly increases your chances of having a good experience and a result you'll be pleased with.